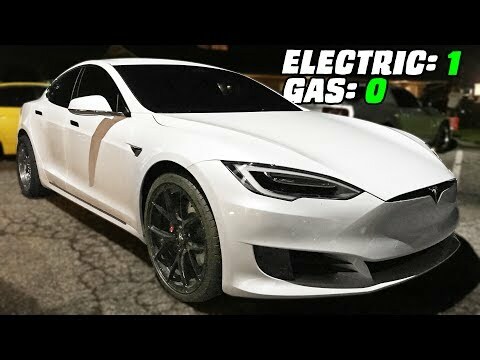 These guys from 1320video ran into the Tesla Racing Channel guy piloting this Tesla P100D on the street…and it was glorious! Are the electric cars finally taking over our bald eagles?! Hopefully not..but this Tesla P100D might have you thinking otherwise. With nothing more than a gutted interior, and some lightweight seats, this economy-electric car shocked EVERYBODY when it wen’t undefeated against some badass drag cars! It’s AWD, and insta-torque make for a KILLER street combo, especially when the roads aren’t too great..can’t wait to see what the future holds for this Tesla!